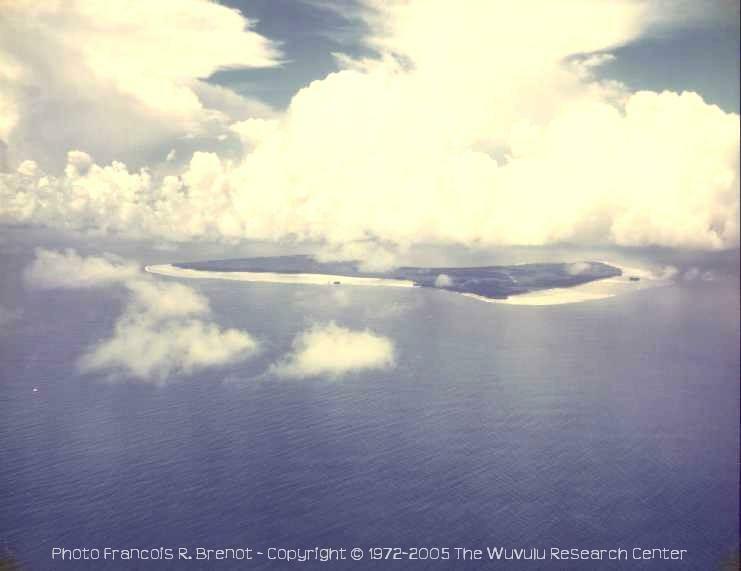 Aerial view of Wuvulu Island from the NW. Note the airstip on the right (West) side of the photo. The two villages of the island, Auna (sunrise) and Onne (sunset) are located on the Southwest and Northwest coast respectively, at the ends of the airstrip.